This is a Telephone. 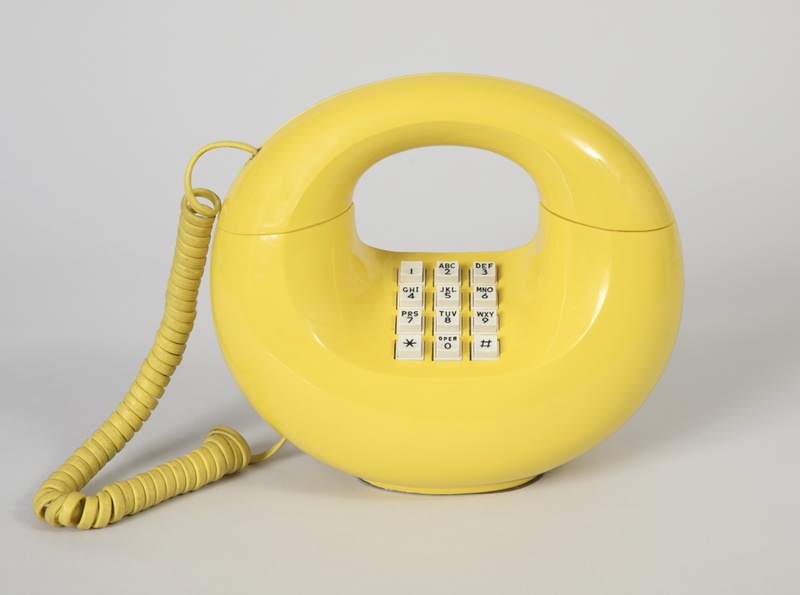 It was designed by Donald M. Genaro and manufactured by Western Electric Manufacturing Company and AT&T and from the office of Henry Dreyfuss Associates. It is dated ca. 1974 and we acquired it in 2018. Its medium is thermoplastic, electronic components.